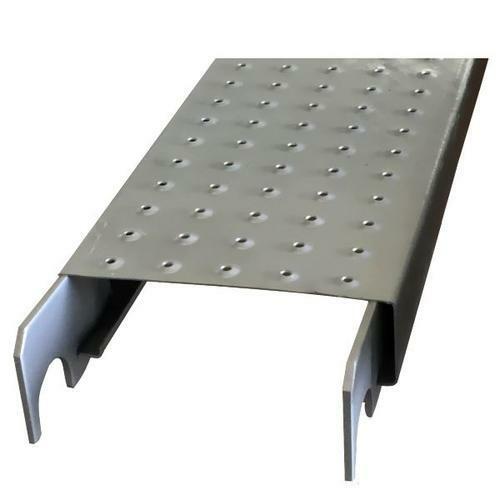 Manufacturer of a wide range of products which include ms walkway plank, ms plank, scaffolding walkway plank, steel walkway plank, ms scaffolding plank and gi scaffolding plank. 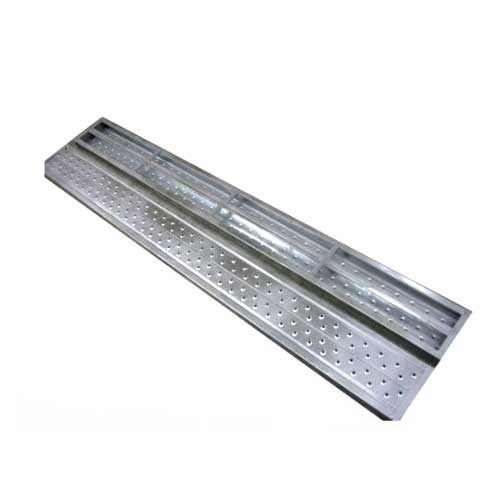 We are the dynamic, business-oriented organization, ranking among the utmost entities in offering a wide collection of MS Walkway Plank. 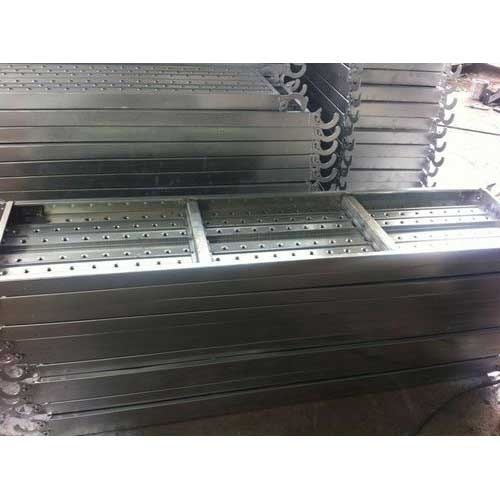 Packaging Details: We manufacture steel planks made from high quality sheets. Our huge knowledge in industry experience, we have a vast variety of scaffolding planks available to us. 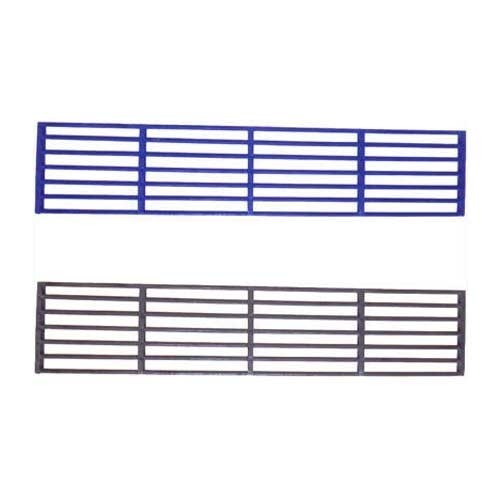 The planks are robust and corrosion free and found immense use in various industrial uses. 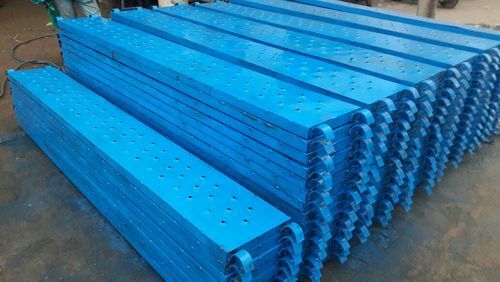 Our company takes special care in the technology and the machines used in producing the supreme quality of these Scaffolding planks. These planks have added the advantage of moisture resistance, low Maintainance, good finishing, light weight and resistance to rust. The cost associated is also market competitive. Our headquarters is located in Gujarat with our representatives serving in more than thirty cities including Gujarat, Rajasthan, and Madhya Pradesh, etc. We are involved in offering an exclusive range of Steel Walkway Plank that is precisely designed using utmost-grade raw material and the advanced technology in tandem with set industrial measures. Features The unique design of the plank makes Light Weight. 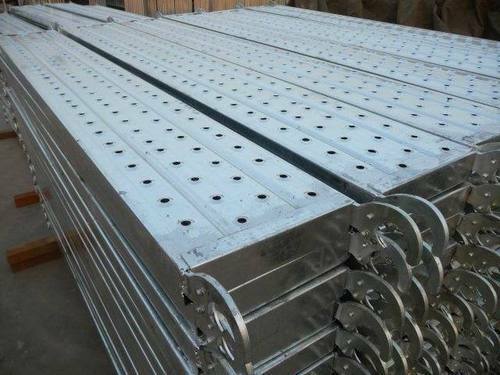 We are eminent manufacturer and supplier of a range of Scaffolding Walkway Plank in Ahmedabad, Gujarat, India. Offered by us is a high quality range of Walkway Planks to the customers, as per their requirements. These products allow mobility and communication through an opening. Moreover, the main functioning of these products is to facilitate one to stand, move or work in a hassle-free manner, along with the machinery used to execute the job. We are the dynamic, business-oriented organization, ranking among the utmost entities in offering a wide collection ofÃ‚Â MS Walkway Planks. Its main purpose is to facilitate a person to stand, move and work suitably, without any complexity. The provided products are suitable for Cuplock. These planks are made of G.I and M.S sheet and punched through to provide skid free surface. The offered range provides access through an opening, by permitting mobility and communication. 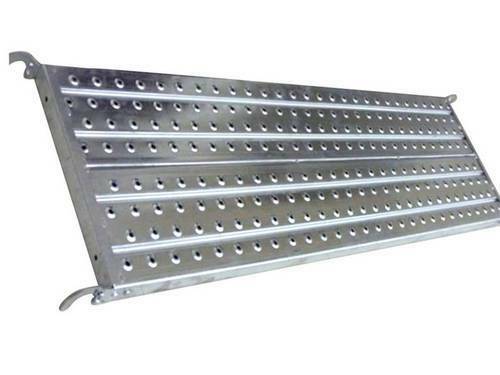 Backed by rich industry experience, we are presenting vast variety of Scaffolding Plank.